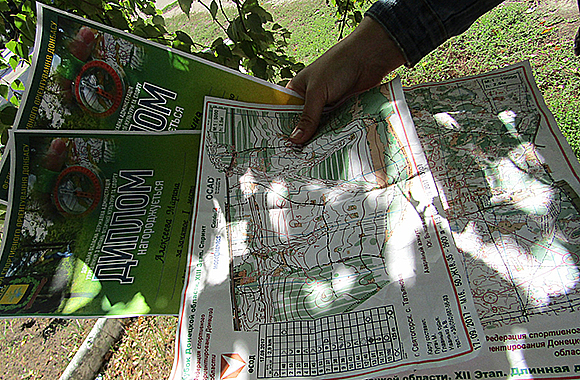 The freshman of LTSNU took part in the Orienteering Championship of Donetsk region. The first-year student of the Educational and Research Institute of Physical Education and Sports majoring in “Secondary Education. 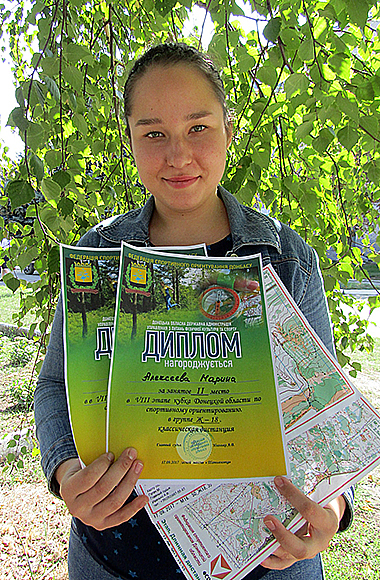 Physical Culture” Maryna Alekseeva participated in the Orienteering Championship of Donetsk region. The Championship was held within the framework of the VII – VIII stages of the Donetsk Region Cup on orienteering in the forest area of the city of ​​Svyatogirsk. 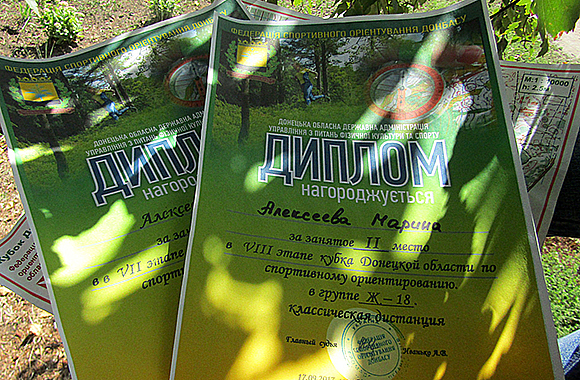 According to the results of the competitions, Maryna received a diploma for the 1st place in the VII stage of the Donetsk Region Cup in orienteering in the group Zh-18 (the classical distance). And she took the 2nd place in the VIII stage of the Donetsk Region Cup on orienteering in the group Zh-18 (the classical distance). Athletes have overcome almost 11 km and a sprint with a climb of 190 m.
Congratulations to Maryna on her successful performance! We wish further successes in the All-Ukrainian competitions!